Lasting change is never easy, but you do not have to do it alone. We are here to back you and guide you along the way. Using tried and trusted productivity techniques and incorporating the UK government backed 5 Ways to Wellbeing initiative, we help you to identify your strengths, rise to your challenges and propel your business into the future. Our Corporate programmes are an investment in your company’s most valuable asset – your people. Partner with one of our coaches for personalised One to One or Small Group Coaching. Contact us for bespoke business, corporate or small group programme development. 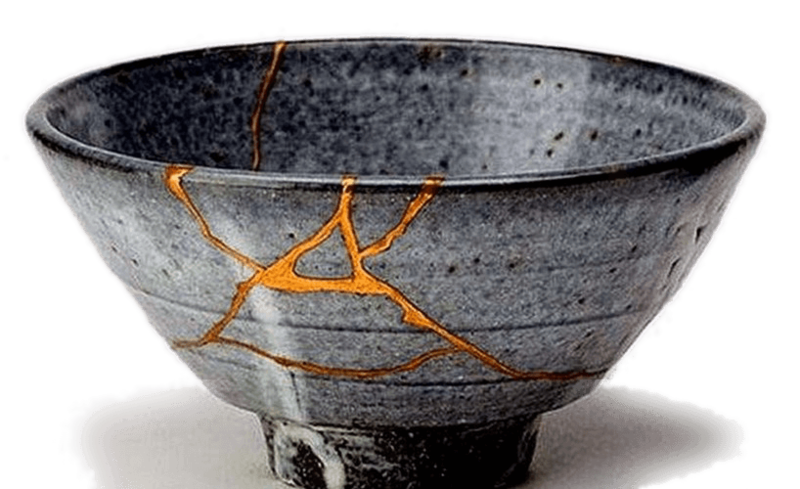 The Japanese art of repairing pottery with gold or silver lacquer and understanding that the piece is more beautiful for having been broken. The small steps count. Even admitting that it is time for a change takes courage. At Aurora we understand that change takes time, but it is important to start somewhere. It may not seem like much, but reaching out for help is a major milestone on your journey to better. However you choose to work with us, we will make sure that you are well equipped to face your business productivity challenges. Contact us to find out more.